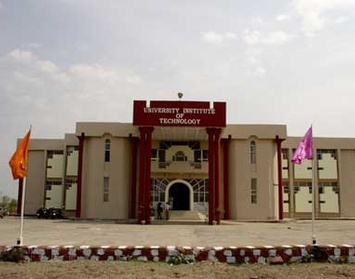 Barkatullah University Institute of Technology Bhopal, Madhya Pradesh,Admission, Courses, Fees, Photos and Campus Video, Review, Ranking Details. The University formerly known as Bhopal University was established in 1970 in the capital city of Madhya Pradesh. In 1988, it was rechristened as the Barkatullah Vishwavidyalaya, in the living memory of the great freedom fighter, Prof. Barkatullah belonged to Bhopal. Barkatullah University Institute of Technology Bhopal, Madhya Pradesh , covering an area of approx. 360 acres of land, is located along Jabalpur-Jaipur National highway(NH-12) at a distance of about 3 kms. From the Habibganj Railway Station .The University complex includes Administrative Block, Library Block, Life sciences Block, Law Block, Humanities Block, social science Block, Physics Block, Applied Geology Block, Hostel Building, Guest House, Institute of Open and Distance Education, Post office, a branch of the State Bank of India, Printing press, faculty club, Institute of Management Building, Department of Pharmacy and University Institute of Technology. The territorial jurisdiction of the university extends to the eight districts of Bhopal, Sehore , Vidisha , Raisen , Hoshangabad, Harda , Betul, and Rajgrah. There are more than one hundred seventy colleges affiliated to the University. There is one Engineering college two college of education, a Technical Teachers Training Institute, a Ayurvedic , Unani, Physiotherapy and homeopathic college affiliated to this University. College provides placement assistance to all its students. The dedicated placement cell regularly conducts grooming sessions of the students in areas like soft skills, interview facing skills, behavioral skills hereby making them industry-fit. In the recent years the college has witnessed some well known recruitment companies walking-in and being invited for campus placements. Additionally boarding facilities for 130 boys and 40 girls are also available in the hostels situated within the campus.